Living on a farm most of my childhood, I had numerous pets and was a member of the 4H Club. I have always had and enjoyed the company of a dog, pure bred and mixed breed. 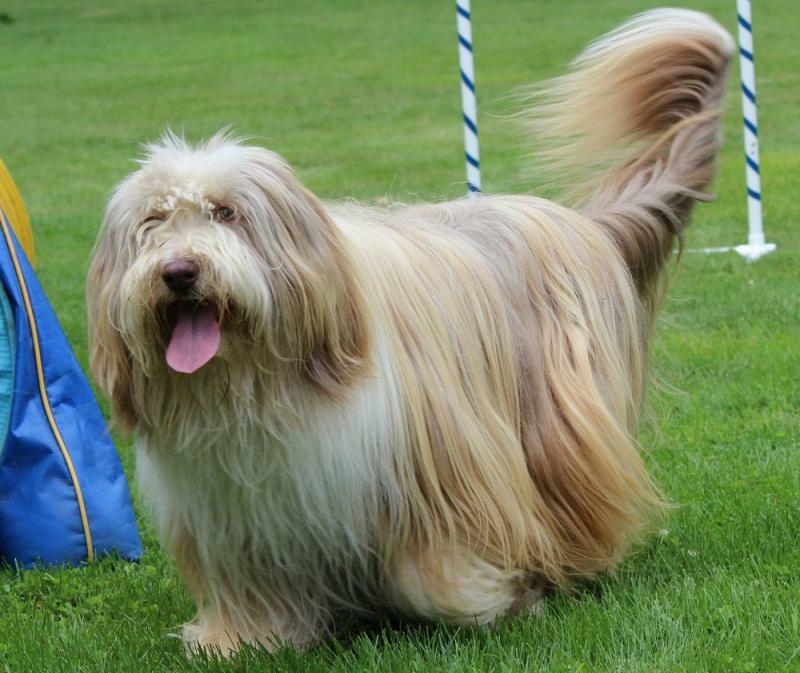 In the late 1990's I met a wonderful breeder of Bearded Collies and ended up owning Sumo and Breagh. A great friendship was formed and I loved all aspects of our time spent showing, obedience and rally trials and helping to deliver puppies. Sumo passed away fall of 2013 at the age of 14 1/2 years. This left a very big hole in our hearts. Breagh is still going strong and is now 13 years old. In 2010 I attended a National Agility trial with a friend thinking it might be something I would like to do. 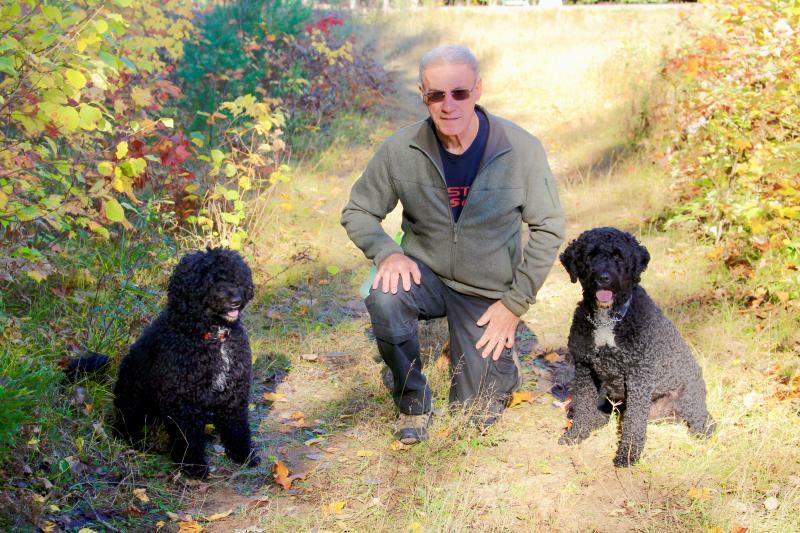 I fell in love with the Portuguese Water Dog at the trial and was anxious to get home and tell my husband, Terry, all about them. Hence, Splash entered our lives: Ch Morfrends SplashI'mTakinABath, RN. It was love at first sight for both Terry and I! 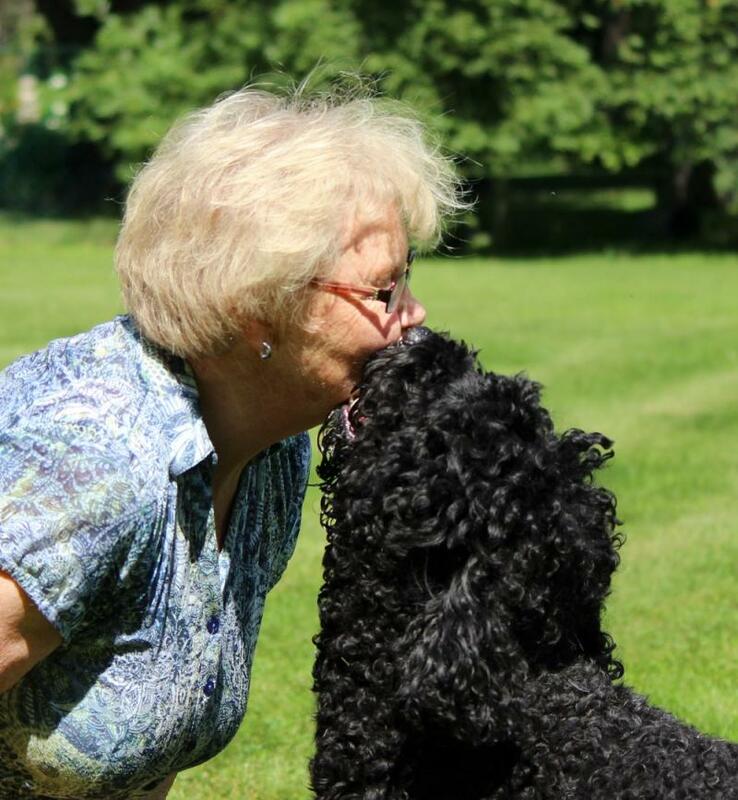 I am a Portuguese Water Dog breeder in Ontario, located in the Upper Ottawa Valley. 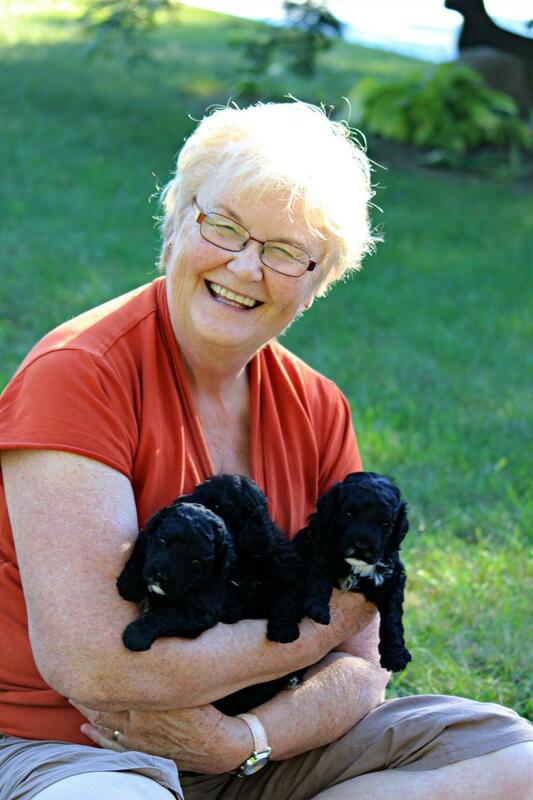 I breed for temperament, health and structure.﻿ Our dogs are registered with the Canadian Kennel Club, and all of our breeding dogs have obtained their championship, identifying that they meet the breed conformation standards with the Canadian Kennel Club. They are fully health tested and documentation is made available to prospective owners and breeders, through OFA, Optigen and through the PWD Health and Litter Database. Our dogs actively participate in performance events. 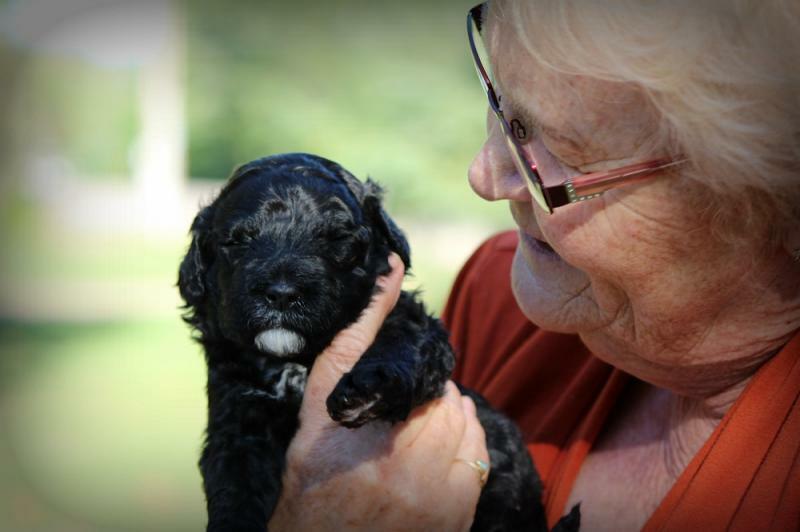 Our breedings are well planned, and puppies are socialized from their first week. They live with us in our family home, and undergo early neurological stimulation and desensitization. I keep informed about research and new information available to breeders in North America by attending seminars, connecting with trainers and other breeders in the community.